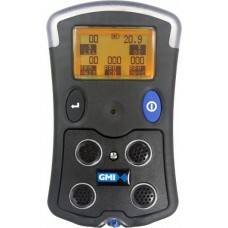 EGM Ltd. can supply and support the full range of portable gas detection products from GMI Ltd..
GMI offer the customer the most cost effective and easy to use range of portable gas monitors available on the market today. Everything from a single gas maintenance free disposable instrument to the fully featured five gas PS 500 and Gasurveyor range which has a complete range of sensors and pump options available. All instruments are fully supported by our ISO 9001:2015 accredited workshop which can not only offer quick turnaround times for calibration and repair, but also can give the customer a low cost of ownership through a competitively priced recalibration pricing structure. 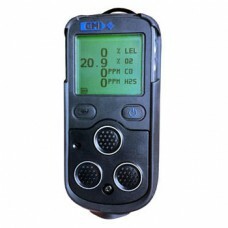 The PS200 is a non-pumped gas detector to monitor for Oxygen, Hydrogen Sulphide, Carbon Monoxide and.. The PS200 is a pumped gas detector to monitor for Oxygen, Hydrogen Sulphide, Carbon Monoxide and %LE.. The PS500-CO2 detects 0-5% volume CO2 reliably and accurately using infrared capabilities. The.. The PS500 can be tailored to detect up to five gases with its toxic and catalytic sensors, photo ion..
GMI Shipsurveyor 1 measures %LEL and %Vol. 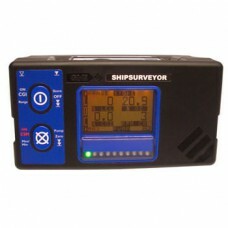 The Shipsurveyor was designed after extensive consultation with shipowners, ship managers and shippi..
GMI Shipsurveyor 2 measures %LEL, %Vol. and O2. GMI Shipsurveyor 8 measures %LEL, %VOL, O2 CO2 and H2S.